15.11.2018 was World Pancreas Cancer Day 5. Why is there World Pancreatic Cancer Day? In 2013 representatives of different organisations met in Geneva, we from TEB e. V. Selbsthilfe were among them, to try to find a way together, to raise public awareness of the disease. We agreed unanimously that a special day must be initiated. 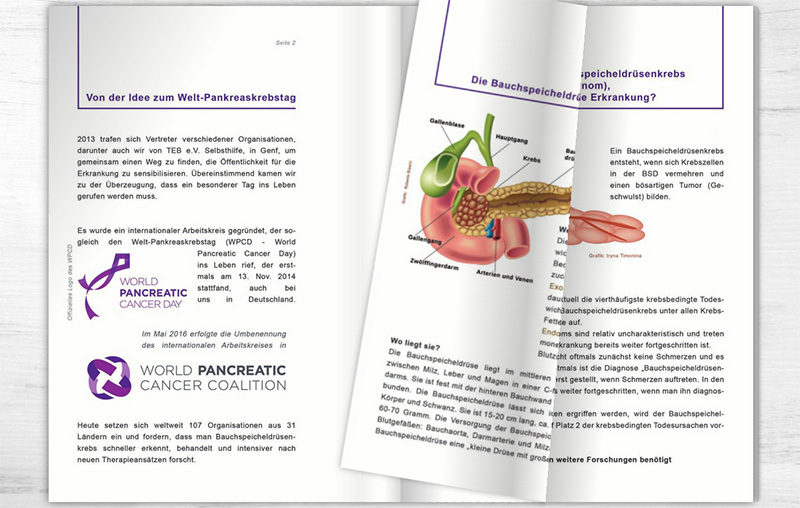 An international committee was created which immediately brought the World Pancreatic Cancer Day into being, which took place for the first time on 13th. November 2014 - here in Germany as well. 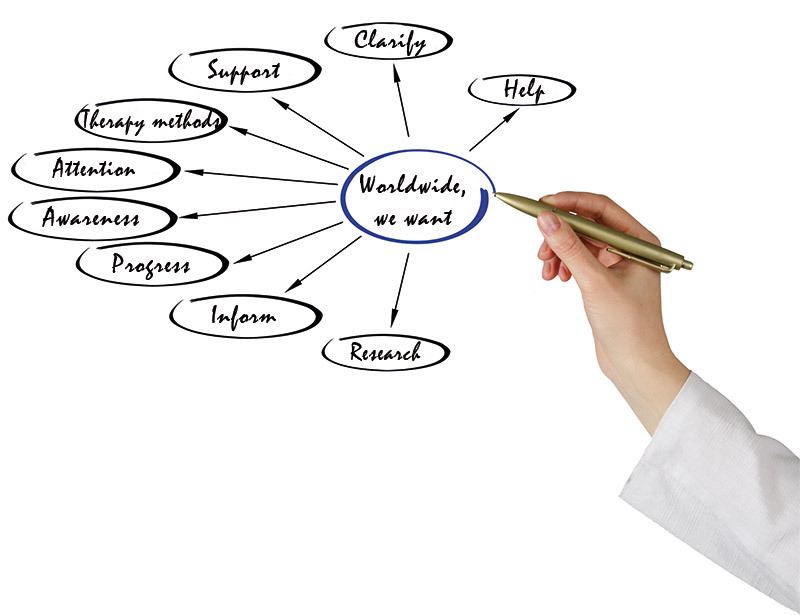 Today 107 organisations from 31 countries are involved, demanding that pancreatic cancer is discovered and treated earlier, and that more intensive research is done on new therapeutic methods. What do we want to achieve with the World Pancreatic Cancer Day? Pancreatic cancer should no longer be kept on the side-lines. With the initiation of our idea of a World Pancreatic Cancer Day we want to enlighten, inform and raise awareness, so that the necessary public attention for pancreatic cancer can be reached. We cannot and must not resign ourselves to the fact that this disease is still not curable. 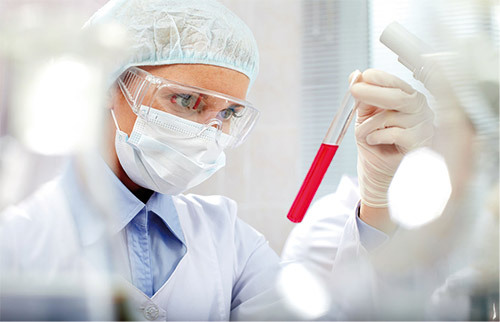 We know that there needs to be a broad awareness in our society of this disease and its course in order to make progress in science and clinical practice. We need the worldwide support and attention of everyone, who works hard on the subject of pancreatic cancer and who assists us in the fight against one of the worst and most aggressive types of cancer. The challenges in the treatment of pancreatic cancer are increasing massively and urgently require far-reaching decisions aimed at a better cure. 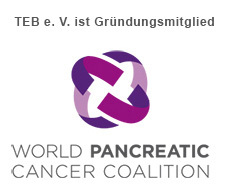 We will therefore organize our 5th World Pancreatic Cancer Day, a small anniversary, to give answers by competent speakers about possibilities of a faster diagnosis, new therapy approaches and much more. We also want to address politicians to significantly increase previous financial investments in research in order to improve the chances of a cure in the future. It is also important for us to fight for a substantial increase in financial support for self-help groups that are predominantly concerned with pancreatic cancer. Our goal is: to achieve a better survival rate for pancreatic cancer!